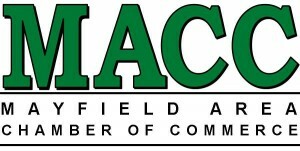 To join the Mayfield Area Chamber of Commerce please complete the form below. When entering your information please be careful to enter your company name exactly the way you want it to appear on our Website's Members' Business Listing. To pay online by credit card, complete the form and payment information section and click Submit Application. To join and pay by check, complete the application and select Print Application at the bottom of the page. Mail the application and a check made payable to MACC, please note on the check: New Membership. Our address is 1284 SOM Center Road #308, Mayfield Heights, OH 44124. If you have any questions or need help with the application please call 216-556-4598. Fee includes a one time $25.00 administrative fee.